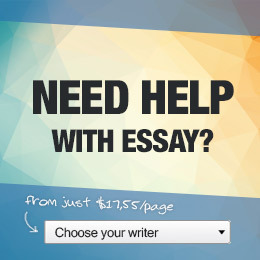 How to write article reviews? This is going to sound like a pretty dumb statement but unfortunately some people who write an article review fail the most obvious test. You have to first read the article you plan to review. And when I say read the article, I mean the entire article. And when I say read I mean read in detail not with a flippant scan of the opening and closing paragraphs. You have to be well-versed in anything you plan to critique. In order to make your article review relevant and worthwhile, you need to make a list of all the points made in the article. In order to review the points, you need to know what they are. Only when you have all that information can you make an appropriate review. It's very important right from the outset that you tell the reader exactly what you are reviewing. The article will have appeared somewhere in a journal or newspaper, a blog or on a website. You must list all the relevant information. This enables the person reading your article review to locate the article in question. Before you begin the article review it is important that you present a summary of what it's about. Yes you will go into detail when reviewing the points made in the article but first an overall summary of the piece is required. Now you begin your comments on the various points made in the article. You state the point made by the author and then you state your point of view about that point. This is the essence of a review. When you have made your review of all the points in the article you finish with the closing paragraph which is a summary of what has gone before. Now all the above is an explanation of how you go about writing an article review. What has not been mentioned to date is the manner in which you do it. This is where excellent writing skills are important. You need to make your points succinctly and clearly. The reader of your article review needs to be in no doubt as to what the article has stated and what your opinions of the article's points are. Getting the content right is very important. Making your points well and with interesting prose is the second essential part of the process.